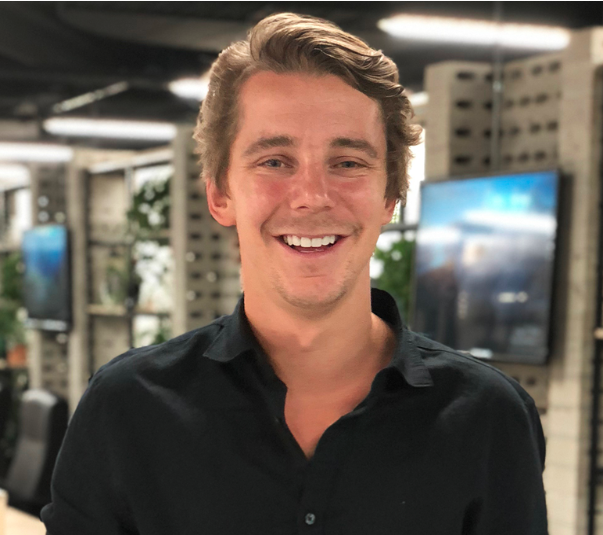 Guest author Michael Bird is the CEO and Co-Founder of digital marketing agency Social Garden serving companies in Australia. Content marketing has long been an afterthought, but having a strong content strategy is now more important than ever. Imperative to each stage of the marketing funnel is ensuring your content reflects the intent of the prospect, as well as their persona. With the vast number of content marketing approaches available, you may be wondering which content marketing strategy is right for the size and focus of your business. In this article, I highlight a few key ideas to think about when you’re considering how to create a content strategy. Regardless of whether or not you are an experienced content marketer, the move to digital means continuous updates, technologies, and optimization. All of this should inform your content marketing strategy framework. What may have worked successfully in the past might not be so effective today. Similarly, making content specifically for Facebook won’t quite cut it when your conversations are happening on Instagram. By auditing your existing content, you can refine your content marketing strategy and make your content itself more personalized, topical, and relevant. Once you’ve outlined where your content currently sits and which holes need to be addressed, you’ll be ready to make your content marketing strategy first class. To create engaging and shareable content, you must clearly identify your target audiences. Take a look at your database to inform your insights as to where your prospects live, their age group, and their stage of life. Your database will also provide insight into how your prospects use social media and the stages at which they drop out of the funnel. Once clear patterns emerge, hold a focus group to gain a clear understanding of customer pain points. Customer highlights of your business are also important to keep in mind, as well as areas of confusion on their pre-purchase journey. Once this information is segmented, you’ll be in a position to clearly focus your content strategy and develop an ongoing content production framework. Email remains one of the most effective ways to reach your audience. Putting a lot of effort into a content marketing strategy is worthwhile, however neglecting its email components will result poorly. Effective emails can increase the reach of your content dramatically. If tailored to an appropriate stage in your marketing funnel, emails will drive the prospect to take the next step in the process, such as requesting a call back or more information. Think strategically about what kind of content a prospect might need when visiting certain pages of your site, as well as key dates of the year when they need to act. In the higher education industry, for example, a prospect may browse the application page, but not convert. This is a great opportunity to email such contacts already in your database and direct them toward a “How to Apply” video walkthrough. If your focus group identified the difficulties of applying as a pain point, this would be a highly relevant approach to ensure all prospects have the chance to convert. Your existing content marketing strategy may have addressed pain points like this, so ensure you maximize any content taken from your content audit. With the rise of social media, content marketing in native formats is essential for reaching your audience, engaging, and having users share your content. The growth of Stories across Snapchat and Instagram means users are more likely than ever before to view video vertically. This means if your buyer personas are active on Facebook, Snapchat and Instagram that you will need to plan your video strategy ahead of time to accommodate for both horizontal and vertical viewing. Don’t be fooled into thinking you need a production studio to create content that has high reach. Maximize in-app tools, filters, and lenses to create platform-specific videos and images that speak directly to your audience. User-generated content (UGC) is more than a buzzword and should be a cornerstone of your content marketing strategy. By avoiding UGC, you’re missing out on content that is not only cheaper to produce, but is also more engaging and authentic. UGC is created by your audience, rather than your business. The advantage here is that content is ready to be repurposed for social platforms and is representative of your target demographics. A great example of a company encouraging UGC is Coca-Cola creating personalized bottles. This encouraged consumers to take a photo of themselves with their personalized bottles. When they shared their photos, Coca-Cola's brand reach effectively expanded. One of the easiest ways to develop your UGC assets is to host a competition that incentivizes your audience to associate themselves with your brand. By offering a personalized or exclusive prize, you’ll receive volumes of images or videos to reuse later. Video is the most popular format for content consumption, so it’s a must-have for your content arsenal. According to Cisco, video is predicted to make up 82 percent of consumer internet traffic by 2021. Not only are videos great for brand awareness, they can also be used for easily digestible instructionals, such as how to apply for a university course or a mortgage. With trust-building being a key part of your consumer relationships, testimonial videos are a great way to humanize your brand using trustworthy sources. Even for small businesses, video can be easy to develop. Effective video content does not require a studio—it requires an understanding of who you are speaking to, the stage of the funnel they are in, and the problem you are helping them overcome. A successful content marketing strategy framework requires research and hard work. 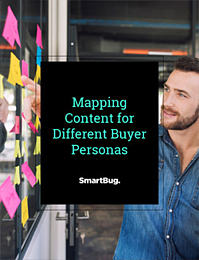 It takes an understanding of your audience personas and how you can add value to their experience. By using this information to drive native content with substantial UGC and video elements, your content marketing will be well on its way to delivering conversions. All you need is to take out your phone and start filming. What are you waiting for? Michael Bird Mike is CEO and Co-Founder of digital marketing agency Social Garden. Social Garden specializes in data-driven lead generation and marketing automation to grow companies’ revenue in different verticals in Australia. Read more articles by Michael Bird.